2018 has been fantastic so far, with lots of safe ice on almost every body of water. 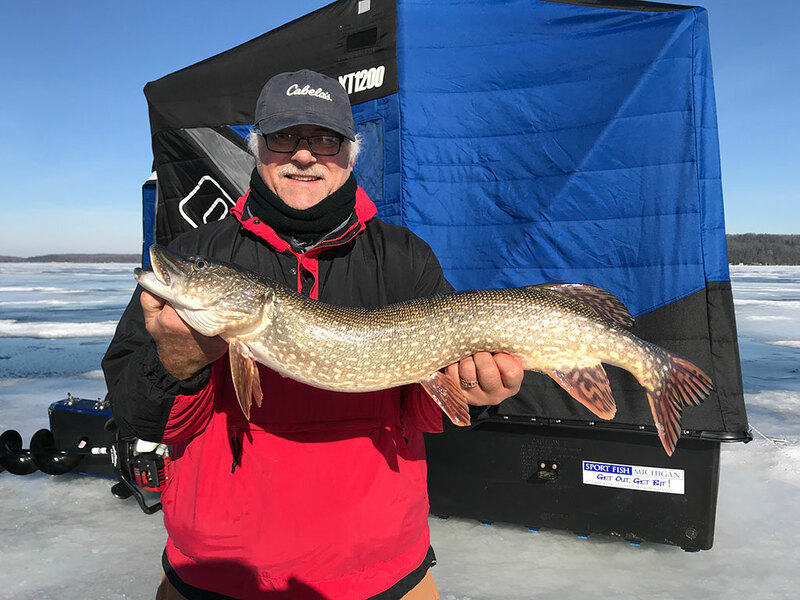 This has allowed us to take our guide customers to many different inland lakes to target a wide variety of fish species; yellow perch, walleye, lake trout, northern pike, crappies and bluegills are among the most common. Guided ice fishing is becoming more and more popular, and in 2018, a few more guide operations popped up. Sport Fish Michigan began offering guided ice trips back in 2013, and we are proud to have an experienced, outstanding operation. We have been featured on the local news, in national print magazines, and on television shows in addition to our own online productions. 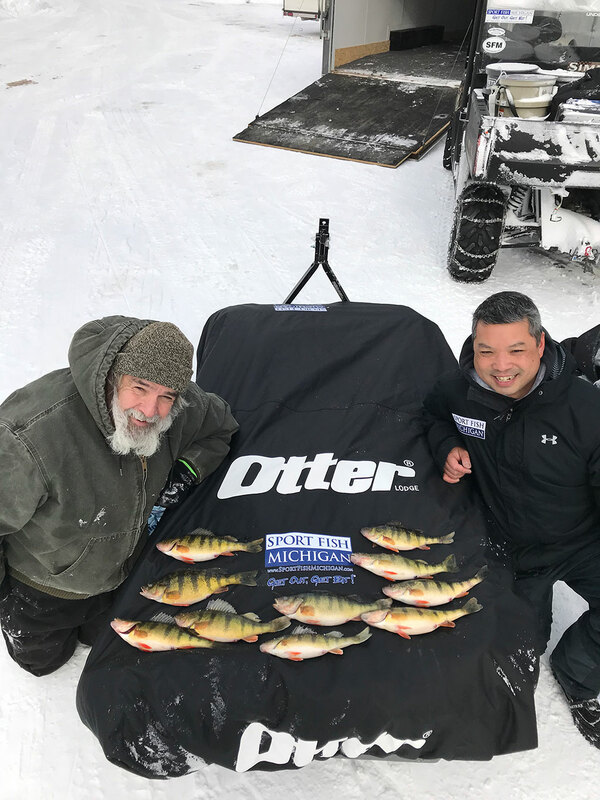 From the seasoned ice angler to the novice who has never been out on the ice before, Sport Fish Michigan’s Guides work hard to give each and every customer the best experience possible. We tailor each trip to the customer’s desires and needs, and strive to provide a fun, safe, and comfortable atmosphere in which to enjoy your day on the water. There are a few differences that set Sport Fish Michigan apart from some of the other guide services that exist around the state. First, all our Guides are licensed and have a U.S. Coast Guard Captain’s license. Whether we are guiding on inland waters or navigable waterways like Lake Michigan, Grand Traverse Bay, or Lake Huron, we feel that it is important that each customer fish with a Guide that has the highest credentials possible. 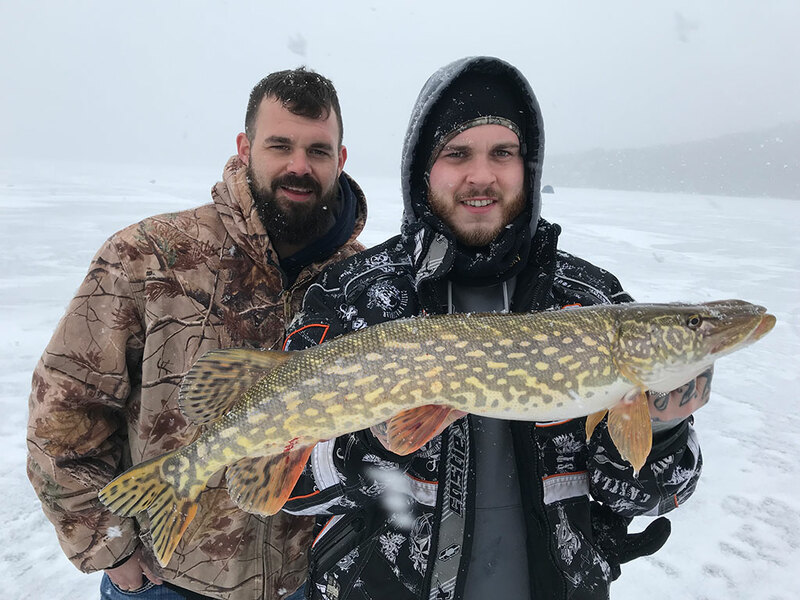 Every one of our ice guides is passionate about ice fishing and is more interested in helping our customers catch fish and have a good time than they are in catching fish themselves. We love to teach what we know and pass along our years of ice fishing knowledge to our customers. And we are also always trying to learn as well. We constantly try to improve and look forward to each trip as an opportunity to not only teach, but to learn as well. Each one of our Guides is also a people-person. We look forward to spending time with our customers, and thoroughly enjoy our time on the water with them. Fishing is so much more than just catching fish: it’s supposed to be fun, too, and we strive to always provide an enjoyable atmosphere. Our equipment is another thing that sets apart. We use what we feel is the best equipment available to help our customers enjoy their experience: fully-insulated Otter Outdoors pop-up or flip-over shanties equipped with Humminbird Ice Helix graphs for customer use, as well as MarCum Technologies or Aqua Vu underwater cameras. We provide it all! Each shanty has a heater inside, so that no matter how cold it may be outside, it’s nice and toasty warm inside the shanty. The rods and reels we provide are all in tip-top shape, rigged, and ready to go. We love the 13Fishing ice rods and pair them with a Shimano reel. We also provide transportation on and off the ice when safe and practical. We transport our customers using a Polaris Ranger Crew UTV, a Polaris 4-wheeler, or via Ski-Doo snowmobile. Ice and snow conditions dictate which vehicle we will use for transportation, but our goal is to provide as much luxury, comfort, and safety as we can. “Show up and fish!” is how we try to run things at Sport Fish Michigan. Let us do all the work: setting up your shanty, drilling the holes, getting the heat on, setting up the electronics or cameras, and even getting the tip-ups set before customers even arrive. Many times, there is a flag on a tip-up by the time our customers arrive on the ice! We have worked hard to provide the kind of ice guiding service that we have become and are proud of our results. Our customers are our proof. We have been fortunate to have customers from all over the country, as well as some from out of the country—as far away as Brazil and Puerto Rico! When customers travel to fish with us from out of state or country means that our customers are committed to us, and we are always just as committed to them. For those of you that have fished with us in the past, thank you. And for those that have not, we would truly enjoy an opportunity to do so in the future! Join Captain Ben Wolfe on the Detroit River to learn about successful walleye jigging techniques and the use of stinger hooks.